parents of a 7-month-old baby girl who was found dead earlier this year have been charged after authorities determined the child starved to death in Barrington. 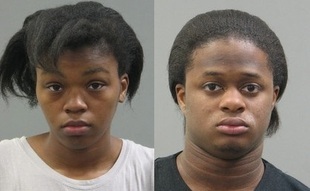 Bolingbrook residents Markisha Jones, 19, and Gene Edwards, 22, each face felony counts of involuntary manslaughter and child endangerment in connection with the death of their infant daughter Mya G. Edwards, Barrington police announced Friday evening. Edwards was ordered held on $250,000 bond by a judge on Saturday, according to the Cook COunty Sheriff’s office. Jones’ bond information was not immediately available. Mya was found dead Jan. 8 in the 100 block of South Hager Avenue in Barrington. A Jan. 9 autopsy was inconclusive pending toxicology test results, the Cook County Medical Examiner’s office said at the time. Police on Friday said Mya’s death was ruled a homicide due to malnutrition from starvation. In March, state child welfare officials said an investigation determined that Mya’s parents neglected the infant and her twin sister, who was placed into foster care, the Pioneer Press previously reported. A Department of Children and Family Services spokeswoman said in January that the agency had not had prior contact with the family, though the DCFS did receive an “unfounded” neglect report in April 2013 and an abuse report from 2002 for other children that were in the home. Edwards is next due to appear in court Wednesday in Rolling Meadows. Jones’ next court date was not immediately known.